Is urban “killer diesel pollution” really that bad? This entry was posted on June 24, 2015 by Van Rental. I’ve been a bit hard on diesel in recent months. Headlines such as “Government must act to combat killer diesel pollution in cities” may have given the impression that emissions from diesel vehicles are on a par with untreated nuclear waste. They’re not of course, although I suspect that diesel particulates probably do cause more health problems than nuclear power stations. The main targets of my criticism were the EU and Euro 5. The EU because it has chosen to focus myopically on reducing CO2 emissions while ignoring equally dangerous NO2 (nitrogen dioxide) emissions. Euro 5 because it doesn’t work properly. The latest-but-one emissions standard turns out to have been a spectacular failure at reducing harmful emissions in our towns and cities. That’s because the pollution control technology used to meet the Euro 5 standard doesn’t actually work in stop-start, low-speed conditions. However, things are improving with Euro 6. In the interests of balance I thought I should highlight some recent commentary from used vehicle price bible, Glass’s. Glass’s view appears to be that imposing new restrictions on diesel vehicles in urban areas would be like shutting the stable door after the horse has bolted. “We have no argument against the findings of the various reports on air quality that are pointing the finger at diesel. The science appears to be very robust. However, they are reporting an historic picture. The latest diesel emissions standards are very stringent and newer vehicles are unlikely to have the same kind of impact on the air that we breathe. Mr Pontin is probably right. Euro 6 is a big step forwards, in that it should actually deliver the benefits we were promised for Euro 5. “There is a general assumption that, for example, a hybrid is always cleaner than a diesel but the picture is not always that straightforward and we are potentially engineering a move away from diesel without looking at all of the facts. The problem is that the last thing Mr Pontin’s customers (car dealers) need is any weakness in demand for nearly-new and used diesels, of which there is a vast supply. There is already evidence that car drivers who don’t do high mileages are switching back to petrol, in order to avoid the higher purchase prices and costly mid-life repair bills which increasingly characterise modern, low-emission diesels. Some friends of mine did exactly that recently. For the van market of course, petrol isn’t a serious contender. Anyone covering any distance will continue to use diesels. However, concerns over the harmful effect of diesel emissions remains. Electric vans are now proven to be a viable solution in urban environments and operations where their daily mileage is predictable and includes one or more returns to base. Vans should also be able to play a role in reducing urban pollution and the resultant health problems. 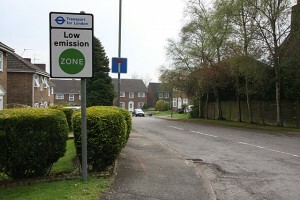 Will tough new London emission zone plans affect you? Questor Insurance discount code – exclusive!